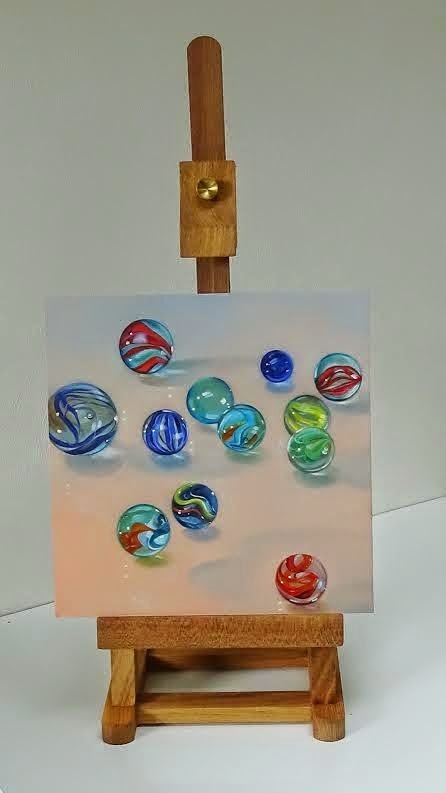 It seems that I can not get enough of painting Marbles! This one took quite a while to paint. Capturing their 'glassiness' and transparency can be tricky! As always it was really difficult to capture how the painting really looks. Propping it on a display easel seems to do it more justice I feel! So, the question is, am I all marbled out? 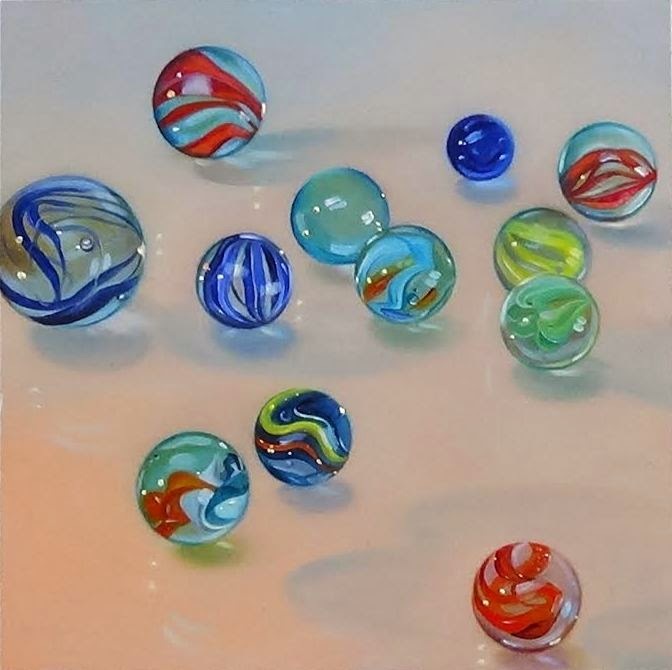 I'm glad you haven't got enough of them yet, your marbles are fabulous! I love this series so much.this is fabulous Sandra and you've definitely mastered getting their marbleyness! Well! This is completely Marblicious! Looking forward to more - and I also love their inventive titles! So beautiful, Sandra. It is a symphony of light. Gorgeous! Sandra, you did such a fantastic job of capturing all the light and color bouncing around the marbles!!! Gorgeous work! And I do like that subtle gradation of background color from blue to orange - perfect! No you haven't had enough yet, you're on a roll. Really clever work, Sandra, and I can see these being so popular that they'll be flying off the easel, so colourful and original ... really love them. for goodness sake don't stop now! Hehe! Always a pun with you John! I love this series! The large painting is overwhelmingly fabulicious! Such a striking and unique painting. Marbles are so evocative of childhood ...this piece makes me happy....love it!!! 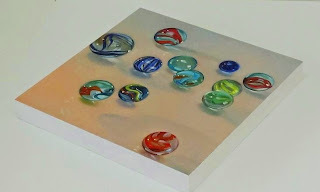 Sandra, your marbles are beautifully painted - and so is the surface. Beautiful gloss, colourful glass - a really great piece!